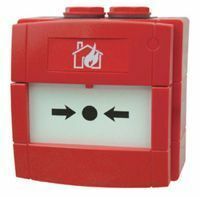 The Safety Centre features a wide selection of weatherproof call points from some of the biggest fire alarm system manufacturers in the world. These units are designed for use in external locations or areas where high levels of moisture is present. If you’re interested in our weatherproof call point range you may also be interested in our Apollo XP95 Weatherproof Call Point and KAC Weatherproof Call Point ranges. See our full range of wireless fire alarm systems.